r0ck candy Pirate Radio #piday #raspberrypi @Raspberry_Pi « Adafruit Industries – Makers, hackers, artists, designers and engineers! Camping with dear friends? Riding the train with complete strangers? Bored at the mall? Always wishing you could run your own tragically out-of-sync silent disco? If any of these describes you, then r0ck candy pirate radio is for you. 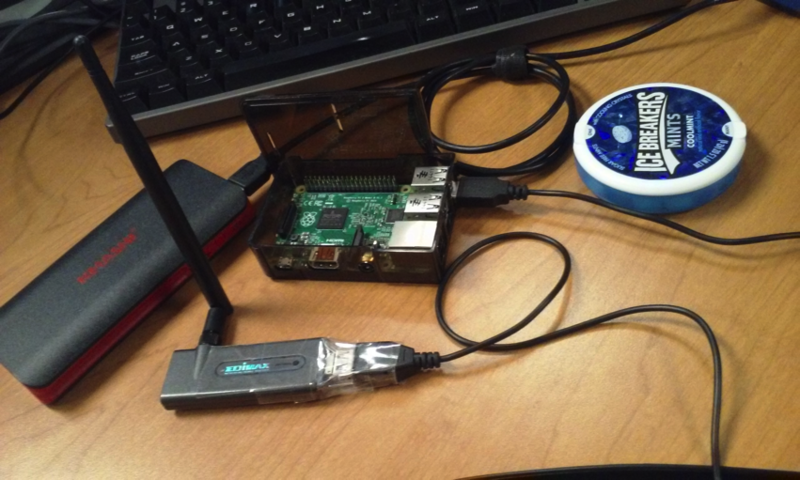 Inspired by PirateBox, r0ck candy is a software stack for your Raspberry Pi that turns it into an open hotspot streaming your music collection to nearby devices. When those devices connect and attempt to browse to any website, they will be redirected to the r0ck candy homepage where they can launch the stream and chat and vote on the next song. Due to its compact size, the r0ck candy can be concealed in a bag or pocket or attached to nearby structures. At the heart of the project is a Raspberry Pi Zero running Raspbian, mpd, icecast2, hostapd, dnsmasq, nginx and a yet-to-be-determined CGI language.